How many times have you started a diet only to give into the cravings and pig out a few days later? “Oh well. I’ll just start again tomorrow. No one knew I was on a diet anyway.” You didn’t hesitate to give up because you didn’t have to answer to anyone but yourself, and you’re not a very tough taskmaster. Groups like Weight Watchers have great success in helping people lose weight, due in large part to the accountability their programs require. AA also understands the power of accountability, requiring attendance at meetings and close work with a sponsor. Even the prison system knows that recently released inmates need accountability to stay out of trouble, thus the parole officer. The same principle of accountability can help you to acquire the discipline it takes to fulfill your goals and reach your potential. Making yourself accountable to someone else can put just the right amount of pressure on you and motivate you to keep moving forward. What can you expect from an accountability relationship? First of all you want someone who is available. Establish a set time when you will share your weekly or monthly goals and a follow-up time to give an account of whether you stayed on track. Choose a person who will hold you accountable and apply a little pressure when you start slacking. Try to find someone who is available during the course of the week to give you pep talks and encourage you to stick with the plan. Don’t choose a “marshmallow” who forgives your every shortcoming. You want someone who will ask the hard question and give you “the look” from time to time, letting you know that they aren’t buying your excuses. You don’t want a total tyrant for your partner, but you do want someone who can be lovingly firm. Where do you find an accountability partner? I’ve had many over the years, and they came from different sources—some were friends, some colleagues, others were mentors, and even a counselor. Accountability partners come in many forms. Perhaps you already have one in your life, but you haven’t realized it or taken full advantage of the opportunity. Depending on what kind of relationship you have with those that live and sleep closest to you, maybe someone in under your own roof could serve as an accountability partner. My husband and I work well together, so he is my first choice for many of my goals. However, when the goal is somewhat out of his area of expertise (like writing-related stuff) I find it’s more effective to go to someone with a shared interest, like a peer. A peer, or a person with similar interests, the same career, or who moves in the same circles as you can be a potential accountability partner. If your goal is related to an area of your life where you interact with them often, they can be a natural sounding board. For example, I was part of a critique group with several other writers. We traded chapters weekly and helped one another polish our work. When I needed an accountability partner to help me stay on schedule with my writing, I turned to one of them and asked her if she would fill that role. The relationship was mutual, as I also served as her accountability partner. Do you have a trusted friend who might consider taking on the role of your accountability partner? I’ve had great results working with friends on some of my goals. Maybe one of my most successful ventures was joining forces with a friend to lose weight. We went to aerobics together, encouraged one another to eat right, and helped each other find ways to incorporate more exercise and activity into our days. We both lost weight, got really fit, and had tons of FUN! This is the best kind of accountability relationship, when both parties benefit. The woman who headed my first critique group was a professor at the college I attended. Not only did she provide excellent critiques, but she also mentored us on a more personal level. As one of the prerequisites for being in the group, she insisted we set goals and give an account at the end of the month. She understood that freelance writers, who generally work at home, alone, have a tendency to goof off and procrastinate when they should be writing. To help us develop the discipline it would take to succeed in the professional writing world, she taught us to set and meet goals. She also held us accountable. If a writer failed to submit goals or report in at the end of the month for several months in a row, she asked them to leave the group. Her time and input was very valuable, and she chose to invest it in those who were serious about learning the craft. I wanted her help, so I got serious about meeting my goals. If you are blessed to have a mentor, take advantage of this wonderful gift! God has placed that person in your life to help you grow and take you to the next level. Allow your mentor to help guide you as you set goals, and ask them to hold you accountable for how you use your time. 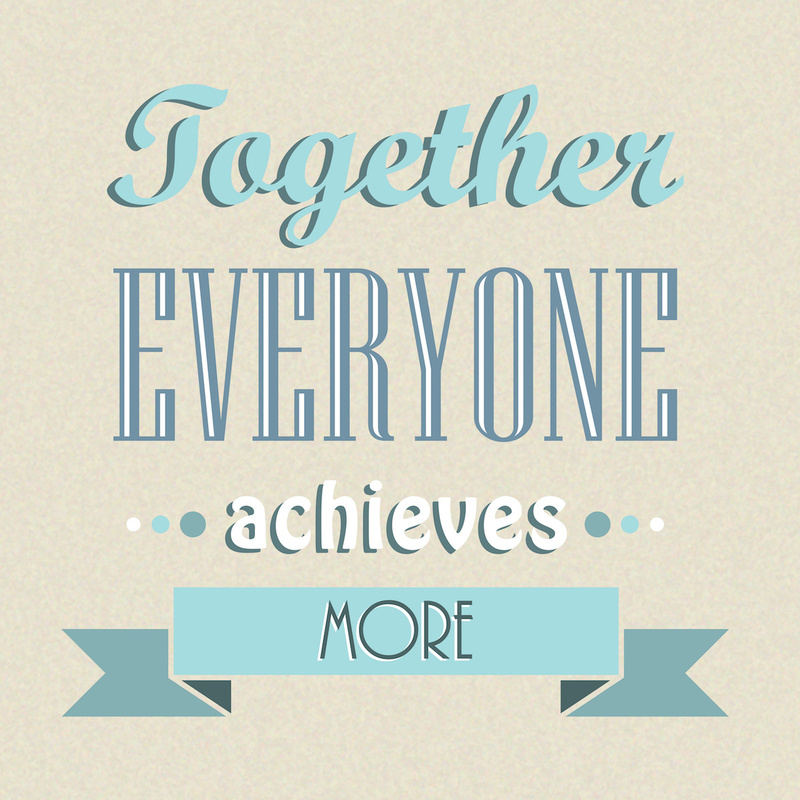 Have you ever attended a MOPS group or joined a club or professional organization? What about a life group (also known as cell group) or an addiction recovery program? Small groups of people who meet on a regular basis can provide a source of accountability for one another. In many such groups, participants are encouraged to talk to one another and offer support. Asking for help or requesting that the group hold you accountable for certain aspects of your life is an excellent way to keep yourself motivated and on track. Even if these groups aren’t the right venue for you to make yourself accountable, they are good places to meet people, form friendships, and build a support network. Years ago I took a class at a local church that taught the principles outlined in a book called Boundaries. The class consisted of watching a short video teaching, then splitting up into discussion groups to talk about the information covered. During the three months that I attended that class, I got to know the women in my group very well. Because we enjoyed one another’s company and we all felt we needed the support the group provided, we decided to continue meeting even after the class was over. Now, eight or nine years later, we still meet up every few months and I text or call them regularly. They have become some of my closest friends. When I need advice, friendship, or accountability, I know they will be there to help. They have been instrumental in many of my achievements and have helped me through some of the hardest moments of my life. I don’t know what I would do without them! Facebook and other social media outlets are another great place to connect with like-minded people. Do a little research and you will find there is a group or forum or online club for almost any interest or pursuit on the planet. If you can’t quite find one that fits your needs, start your own! While you’re searching for a support network for yourself, you can be a catalyst for helping others. Another option to bring accountability into your journey is enlisting the help of a coach. A life or career coach can help you define your goals, and identify the challenges that could stand in your way. They offer guidance by asking questions and helping you take an honest look at yourself and your situations to determine how to react accordingly. They can also provide accountability if you schedule regular sessions to discuss progress and how you handled challenges that came your way. While this form of accountability is a service you pay for, in some instances, this is money well spent. If none of the above options really work for you, consider using a journal to create a sense of accountability. Write down your goals, then enter your results at the end of the week. Use your journal to record your struggles and brainstorm solutions to work through the difficulties you are having. Writing in a journal can be a powerful tool, maybe just the one to help you move to the next level! Could you benefit from some accountability to help you work on a goal, push through a tough spot, or overcome an obstacle? I host a Facebook group for people just like you in need of support, encouragement, and accountability! I invite you to join the group. Just click the link below and click the Join button. Do you have a project or goal that's begging for your attention, but you just can't get motivated to get started? Get 30 days of inspirational quotes and motivational messages delivered to your inbox -- Free! Just tell me where to send the emails. Send me 30 Days of Motivation! Send me the 12 Keys! Everyone has a God-given purpose and the seeds of great potential within them, but not everyone knows how to unlock that potential and develop it to its fullest. That’s why I’ve written this book. In it I share the secrets of successful living and practical tips that helped me gain financial independence by the time I reached my mid-30s.